Take on the role of a nameless fashion-enthusiast, as they embark on a journey of romance and shame! Journey into the heart of the coolest club in town; Dress To Express Dancing Success. Grab a drink at the bar! Chat to your club crush! Shake your hips! Just don't do anything uncool! Dress To Express Dancing Success makes use of Team Lazerbeam's unique D.O.R.K. (Dance Orbit Rotate Kinetics) dance move generator! Use DORK to choreograph your own symphony of dance form a pool of 1936 potential moves! Will you blow the dancefloor away with moves like the "Meat Tornado", "Tasty Pantaloons" and "Golden Grandpa"? Or clear the floor with embarrassing attempts like the "Fat Free Sailor", "Sloppy Macaroni" and "Crappy Package"? Only you can find out! Revolutionary Dancing Mechanics with the D.O.R.K system! Fire up your own unique disco inferno, chaining 1936 potential moves! More than 1 potential date to woo or disgust! A fresh dose of that interactive Lazerbeam magic you know and love! "Why are you making this instead of Snow Cones Episode 2?!" 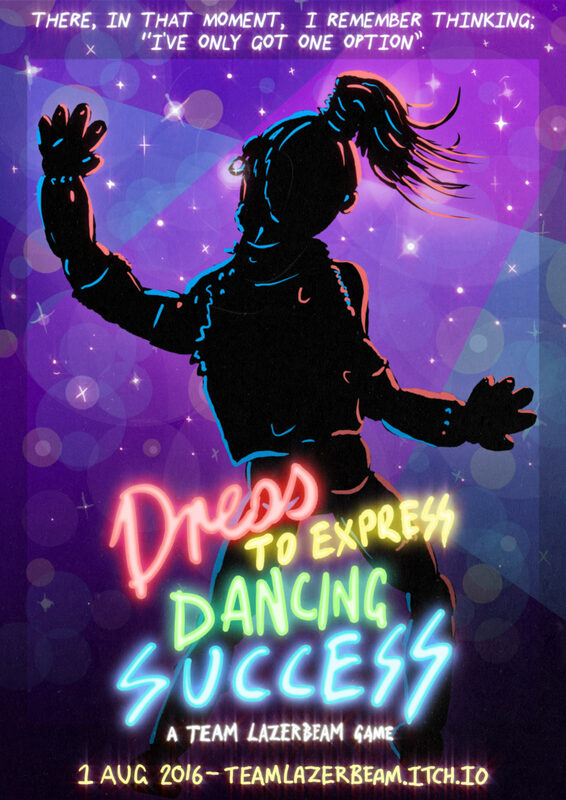 "Dress To Express Dancing Success" was born at SA Game Jam 2016, under the theme "Express Yourself". The results were so ridiculous that we decided to pursue the game further. We have also been working on Snow Cones 2! 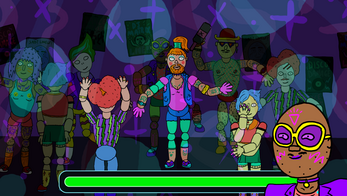 Team Lazerbeam will return in 2017 with "Dance Your Heart Out Of Your Rib Cage"
Amazingly fun game! Really silly, interesting, and cute. Did really well on those 80's vibes as well. No problem! Hoping to play more of your games soon! The Friendless Couple Take on This Epic Dance party! GUYS! It's been so long!!! Thanks so much for the lovely comment - so rad to hear you had such a good time with the game! 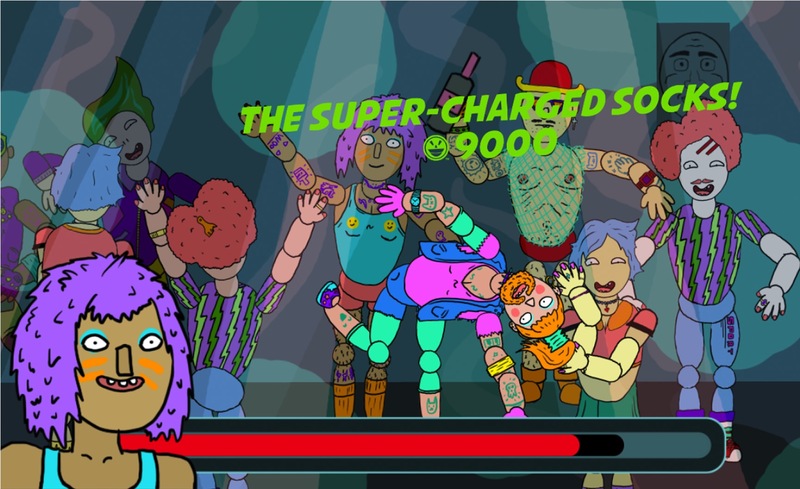 What do you get when you take an awkward bearded cross dresser...mix them with the dev's that make weird inventive games...and add a banging techno soundtrack? You get Dress to Express Dancing Success, an odd little game that gives off the positive message to believe in yourself and try new things. Come get a face full. Thanks for the play! Super rad to watch! Love the thumbnail design! I unfortunately have to inform you that if you are very out of touch with 'cool' if you think a suit made of lettuce is ridiculous. Damn. So good the music is. And your writing and setting is so cool too. So nice and silly the gameplay is. Thank you for this. PS: hotline miami, am I right? A truly bizarre game with an excellent message. Belive in your yourself....and try new things. I loved it. Keep up the weird Team lazerbeam. Thanks Kgosi! See you in person soon for some high fives! Thanks for playing! Stoked to see your video! Hi everybody!! :D It took me a really long time to get myself to play this game but now it's here! Really fun and short game :) Team LazerBeam just make the best experiences! I've pretty much taken all of my fashion cues this month from Bens character designs. Woo! On the way to watch it! Great little slice of life. That is, if your life is going down to the hippest club in town and showing off your hot bod. Who knows, you might even find love. All you've got to do is believe in yourself, and your sweaty moves under the dancefloor lights will make you a star! Cute little experience. The dialogue's perfect (as expected from a Team Lazerbeam game), and all of it is suffused with joy. Make sure to go check it out. Thanks to Team Lazerbeam for providing the goods, best of luck on your next projects- may they all be as entertaining as this. Thanks so much for playing once again EQ! And thanks for the awesome comment; great to hear you liked the game so much! Looking forward to watching your playthrough - expect high fives on Youtube! Yo! Thanks again for the great let's play! And once again, your thumbnail art is just plain awesome! Is it up on your deviant art? Can we share it? We'd definitely like to mess around with these mechanics more at some point in the future! But first, more wrestlers, icecreams and giant robots! Bonus high fives on the ace let's play! We'll let you know when our next thing's out!